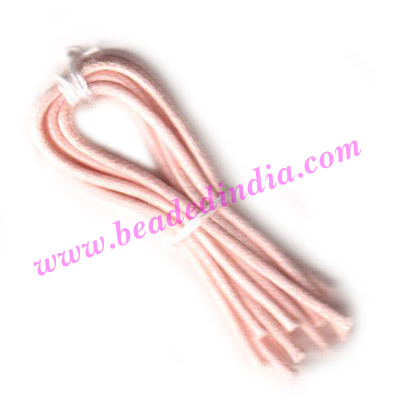 1.5mm (one and half mm) round cotton wax cords, color as per picture, pack of 100 meter spool. Sterling Silver .925 Headpin size: 2.5 inch (63 mm), head size : 10mm, weight: 0.66 grams. Leather Cords 2.5mm (two and half mm) round, regular color - blue. Silver Plated Headpin, size: 1.5 inch (38 mm), head size : 3x3.5mm, weight: 0.23 grams. Sterling Silver .925 Brushed Beads, size: 29x25x9mm, weight: 8.3 grams. Copper Metal Beads, size: 10.5x8.5x3.5mm, weight: 0.67 grams.